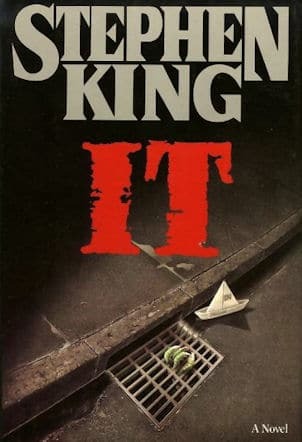 A few days back, I finally overcame my fear and reservations and once again started reading Stephen King’s IT. Truly one of the most well-crafted books I’ve ever read, I’m 454 pages in and though it’s scary and unnerving in parts, the characters are so well written, so well developed, that I feel as though I know them personally. As a reader, I am no longer reading a book, but living an adventure. If you’ve ever seen the the movie, IT, and like most Stephen King movies, thought, it’s just a horror flick intended to scare the beejeebies out of me, you’re right. Hollywood tends to distort King’s masterful stories, eliminating major and amazing parts to give their audience what they believe they want. So, please never judge the book, IT, based on the movie, because the book is an amazing story, one I always find hard to put down…and I have no doubt that it’s one I will cherish and forever applaud as being a masterful example of story telling. I loved the book so much, I cried for the characters at the end. But, not for the reasons you may guess. And, to be noted, as this is a revisit to an old blog post, I haven’t seen the most current movie.